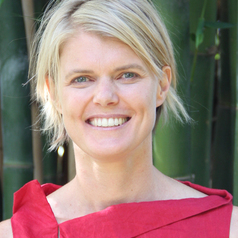 Dr Tara Martin is a principal research scientist with CSIRO and adjunct Professor with University of British Columbia, Canada and University of Queensland, Australia. Dr Martin is a pioneer in the field of optimal conservation resource allocation, combining ecological models with decision theory to develop frameworks for making more efficient and effective biodiversity conservation decisions in the face of global change. Her development of methods to incorporate informative priors from data and elicited from experts into Bayesian predictive models have been widely adopted along with her advancement of techniques for modelling zero-inflated data-sets. In the field, Tara has over 15 years experience researching the complex interactions between herbivore grazing systems and the persistence of bird and plant assemblages. Martin T.G., Burgman M.A., Fidler F. et al. Eliciting expert knowledge in conservation science, Conservation Biology 26, 29-38. Martin T.G., Nally S., Burbidge A. et al. Acting fast helps avoids extinction, Conservation Letters DOI: 10.1111/j.1755-263X.2012.00239.x. McDonald-Madden et al. Optimal timing for managed relocation , Nature Climate Change 1:261-265. Martin, T. G. et al. Optimal conservation of migratory species , PLoS ONE 2:e751.doi:710.1371/journal.pone.0000751.